Amidst the mountainous regions of Europe and the Northwestern United States, a yellow-petalled perennial flower holds the power of true bruise-healing wonder. Arnica montana, one of 25 species of flowering plants in the Asteraceae family, is an herbal gem for medicinal uses in Ayurveda, European folk medicines and homeopathy. Commonly known as mountain tobacco and wolf’s bane, Arnica was traditionally used in native folk medicine to treat bruising, wound healing and to reduce pain and swelling. Historically, it was also praised as a popular treatment for typhoid and rheumatic fever in the 1800s because of its febrifuge qualities. Since then, several studies have demonstrated the efficacy of Arnica in treating various skin disorders and reducing fever and joint pain associated with rheumatism and osteoarthritis. Biochemically, Arnica contains compounds called sesquiterpene lactones, which can induce allergic reactions and are poisonous in large quantities. Interestingly, these same compounds appear to be safe in small amounts and can actually potentiate anti-inflammatory, analgesic and antibacterial effects that make them valuable for acute injuries. In particular, the lactone helenalin, from arnica flowers, selectively inhibits the activation of transcription factor nuclear factor-kappaB (NF-KB) which in turn, prevents the production of inflammatory cytokines and attenuates the inflammatory process. This key mechanism is extremely potent and useful for preventing tissue swelling when an Arnica preparation or gel is applied upon immediate injury. It is also postulated that helenalin may account for some of the anti-inflammatory benefit observed in rheumatism since it inhibits TNF-α, a major inflammatory cytokine involved in rheumatoid arthritis and a target of NF-KB. In addition to its fever reducing and skin healing properties, Arnica has been shown to have a favorable effect on the cardiovascular, respiratory and immune systems. When taken internally in small doses and under the care of a physician, it acts as a vasodilator, expectorant and immunostimulant. 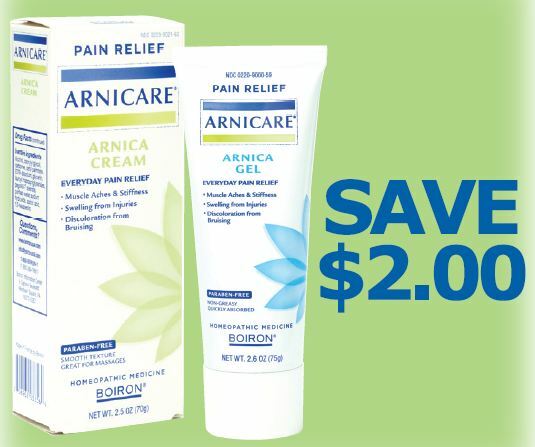 More specifically, Arnica has been found to engage coronary heart vessels and improve circulation and is a potent diuretic that affords both positive and negative benefits for patients. Its advantages in treating respiratory infections may be attributed to the antibacterial properties of the compound thymol, which is extracted from its roots. Case reports also demonstrate the expectorant qualities of Arnica, making it useful for coughs and colds. 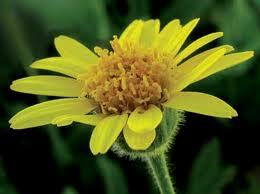 Lastly, Arnica has been shown to stimulate phagocytosis by macrophages and strengthen the immune defense upon infection. Although Arnica has tremendous medicinal benefits, it is not without side effects, and certain precautions should be taken before its use. If the plant is ingested directly and not prepared with the appropriate medicinal dilutions, it will severely irritate the stomach and alimentary tract mucosa and induce vomiting. Arnica also contains two coumarins, anti-coagulant compounds that can inhibit platelet aggregation and enhance blood thinning. Persons with diabetes or those already taking blood thinners are theoretically at risk for excessive bleeding and other potential adverse interactions if Arnica is used internally. 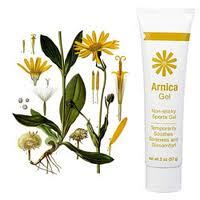 Since Arnica is a diuretic and vasodilator, it is not advised for those with hypertension. Lastly, it is recommended that Arnica not be applied to open wounds or cuts or to ingest Arnica unless it is appropriately diluted as in homeopathic preparations. This video is superb for making San Francisco style Choppino! 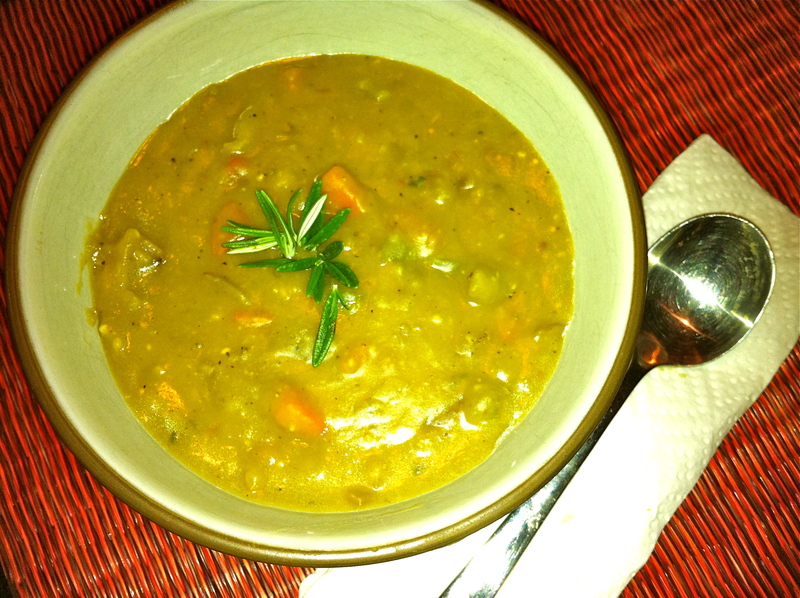 Remember, tomatoes are a nightshade that along with the fish and spices can be pitta aggravating, so this soup is best for vata and kapha constitutions in moderation. Here is a very interesting natural toothpaste press release. 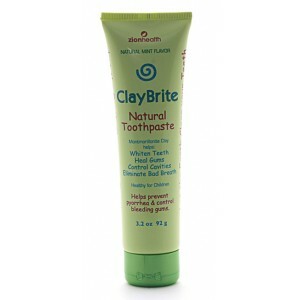 It’s Zion Health’s Claybrite Xtra. Remember those little green sprouting ceramic pets we all had back in the 80s? You know, the one where you mixed the little seeds with water and brushed it onto a little pig or sheep terracotta figure and watched it grow a bushy little garden “fur” coat. 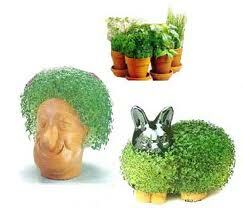 Well, I bet you never thought those little chia pets were the same chia seeds known today as a wonderfood! 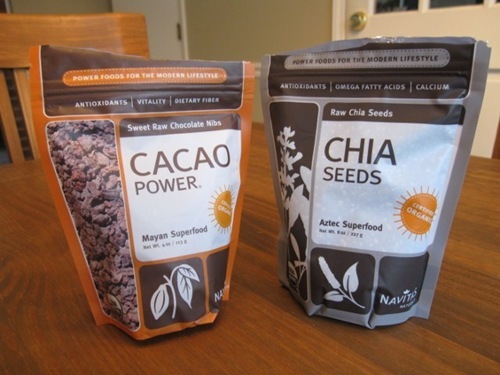 As raw foodist Angela Stokes points out in her post, Chia seeds are a longtime superfood for the Mayan and Aztec cultures. They provide large amounts of protein and calcium and are easily absorbed and digested by mixing into a gel with a small bit of water. 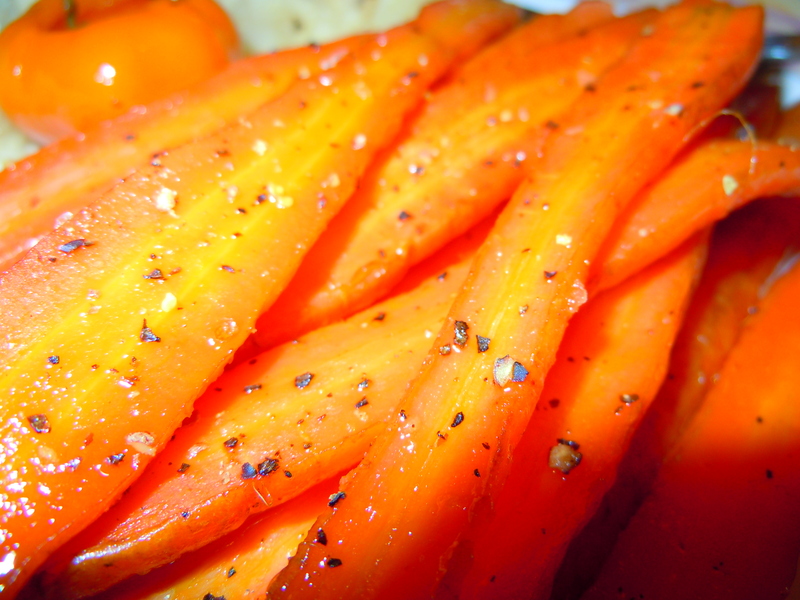 You can also grind up these chia babies into a flour and bake or cook with them. 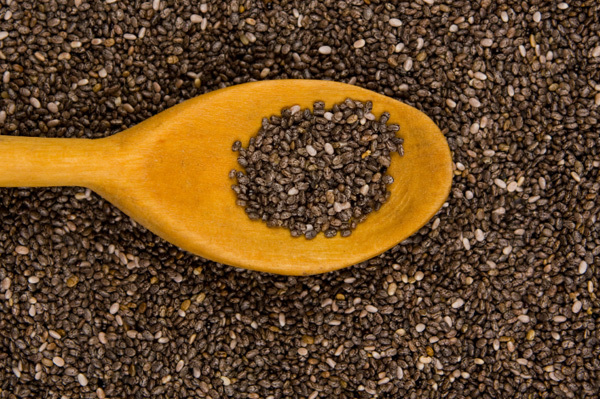 Chia seeds are mild in taste and offer great digestive benefits. 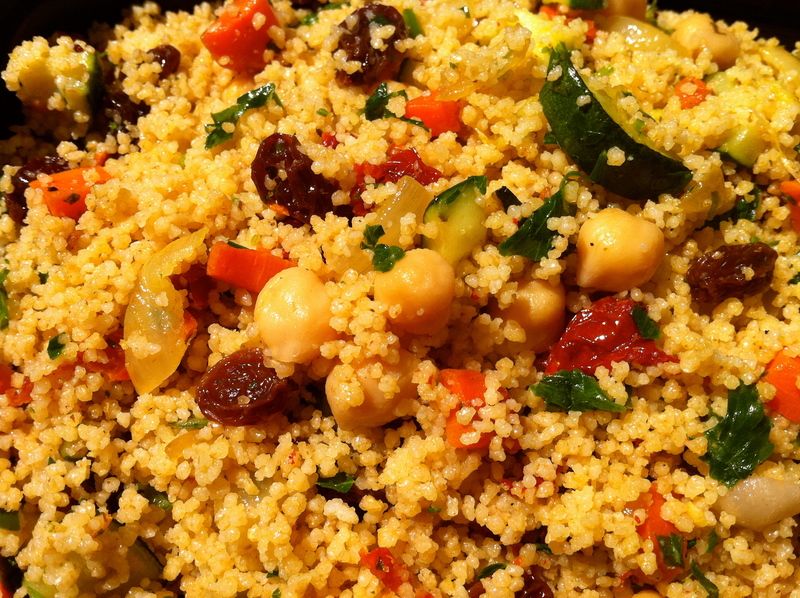 They are a fantastic source of soluble and insoluble fiber (about half and half) and will aid with daily elimination. The soluble fiber will help bind matter in the gut to reduce cholesterol and the insoluble fiber will help keep your BMs regular. A good daily fiber ration for insoluble to soluble fiber is 3:1. Ayurveda practitioner John Douillard offered me advice once to use chia seeds to improve the absorption of nutrients and to take it regularly for my digestive health. So, I of course rushed to add it to a favorite food of mine – Cookies! Yes, I modified a lemon poppy seed cookie recipe with chia seeds and it was delish! Chia seeds can be found at Whole Foods Market and other natural grocers as well as everywhere online. As always, organic chia seeds are best, but might be a bit pricey. Here’s a link to the great article by Angela Stokes and wiki’s thoughts, which provide even more background on chia and some recipes.